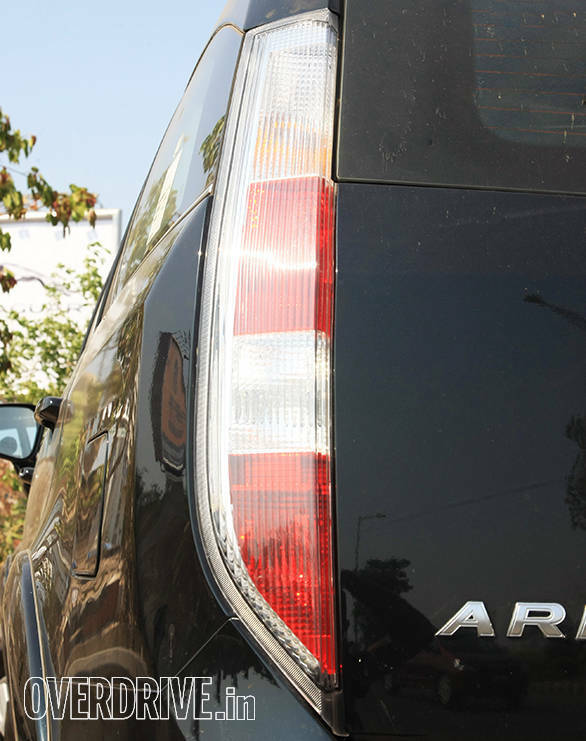 The Aria has been around for four years now and an update to it was only expected from Tata Motors. The SUV/MUV is the most premium offering from the manufacturer and the new 2014 model has received a few cosmetic changes and more power. We drove the top-end Aria Pride featuring all-wheel drive. 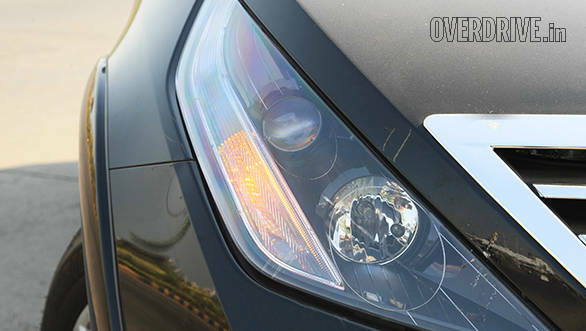 In terms of styling, the Aria doesn't get any change apart from new smoked double barrel projector headlamps and clear lens tail lamps that go well especially with darker shades, like the black Aria we tested. The big front chrome grille continues to take centre stage while the front and rear bumper receive no design change. The styling update unlike other Tata cars, seems to be minimal. Inside, the interiors are also similar. The top- end model gets the same all-black interior with purple inlays but the centre console gets a larger screen. The resolution is however poor and since the screen is larger, it's all the more prominent. 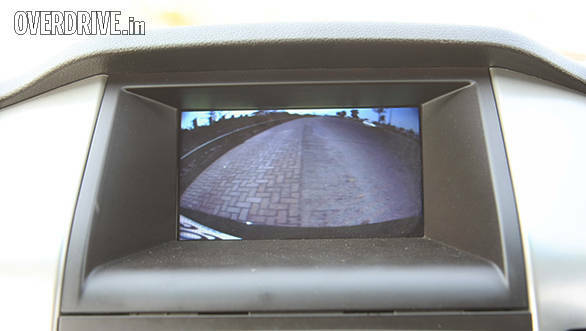 The infotainment system even features navigation and a reverse camera function however, despite featuring Bluetooth, phones can be only connected to the system to make calls and not to stream music. We took a long time trying to connect the phone to play music until we realised there is no support. The interior otherwise gets no changes, the steering wheel is one size bigger and like before doesn't feature backlit controls. There is still no dead pedal and despite the sheer size of the vehicle, the footwell is cramped. As seen before, cargo space and passenger space is impressive while the unique roof mounted flip-open storage is retained. Overall fit and finish and quality of materials used can be better. The more important upgrade comes in the form of an updated engine, the 2.2-litre VariCor motor features VGT and puts out 150PS of max power at 4000rpm while max torque of 320Nm is similar to the previous Aria. On the road, power delivery is slightly better and turbo lag though evident has reduced to an extent. The gearbox offers positive shifts but overall feel can be better. While the previous Aria crossed the 100kmph marker in 15.3 seconds, the updated Aria only managed to do the same in 16.8 seconds. This is because the vehicle bogs down when the ESP kicks in, there is no way to turn off the system. The all-wheel drive system however can be turned off and is on the fly. Fuel efficiency though has improved, the overall fuel efficiency going up from 12.75kmpl to 13.2kmpl. The ARAI claimed figure being 15.05kmpl. In terms of dynamics, the Aria still rides very well over broken surfaces and potholes. High speed stability is impressive but around corners body roll is still present. 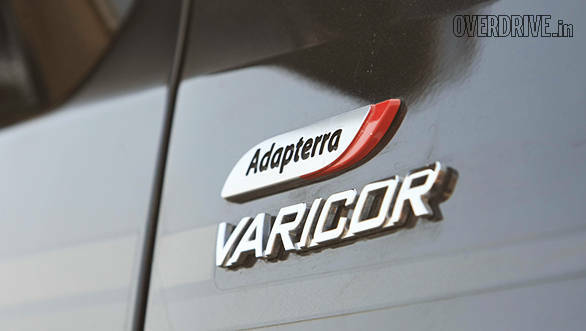 The 4x4 Adapterra torque-on-demand system even senses the various terrain conditions to automatically split torque between the front and rear axles. What about features? Well the Aria now gets leather seats with beige fabric covers and a leather wrapped steering wheel. Creature comforts are further enhanced by a climate control AC, glove box chiller and cup holders. In terms of safety, the top end Aria gets six airbags and systems like ABS, EBD, ESP and TCS. The Aria now starts at Rs 9.95lakh (ex-showroom, New Delhi). The car is available in three trims- Pure LX (Rs 9.95 lakh), Pleasure (Rs 12.00 lakh) and Pride 4X4 (Rs 14.74 lakh). This update strangely didn't bring the automatic transmission that was showcased at the Geneva Auto Show last year. 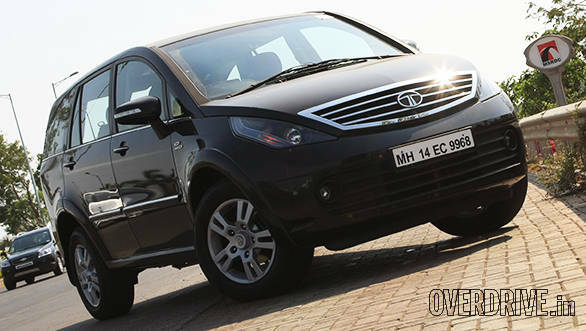 We expect Tata to shortly launch the Aria with an automatic transmission as well.